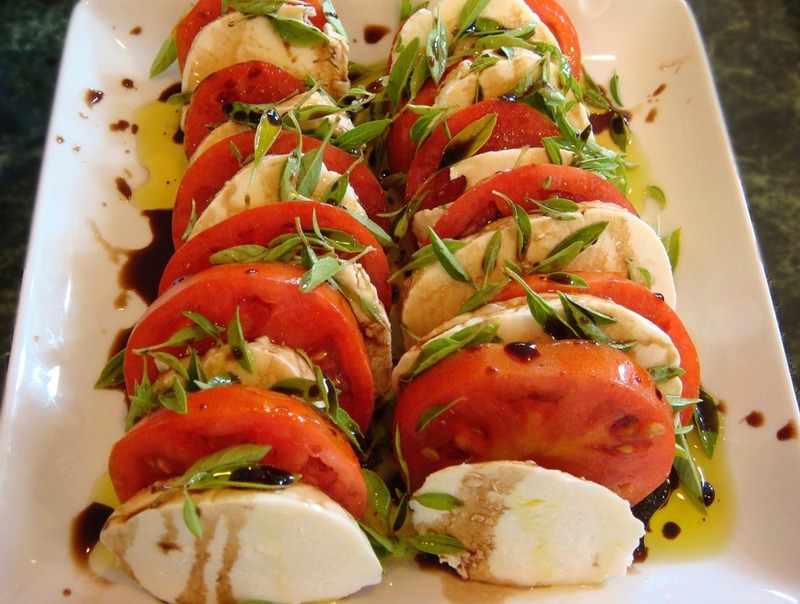 A Caprese Salad is the perfect accompaniment to grilled summer meats: chicken, steaks, pork, even hamburgers. 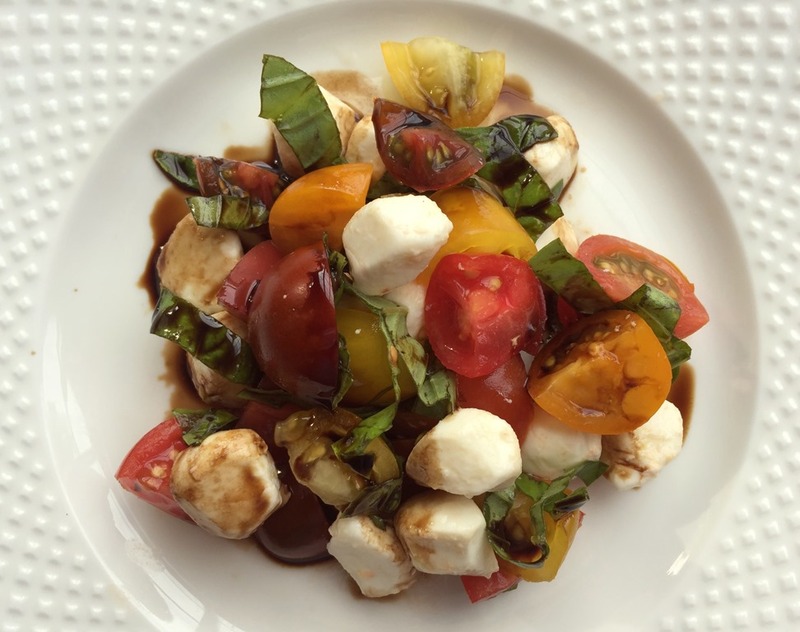 Made with summer fresh tomatoes and basil, fresh mozzarella, and a reduced balsamic glaze, it just screams summer and healthy eating. 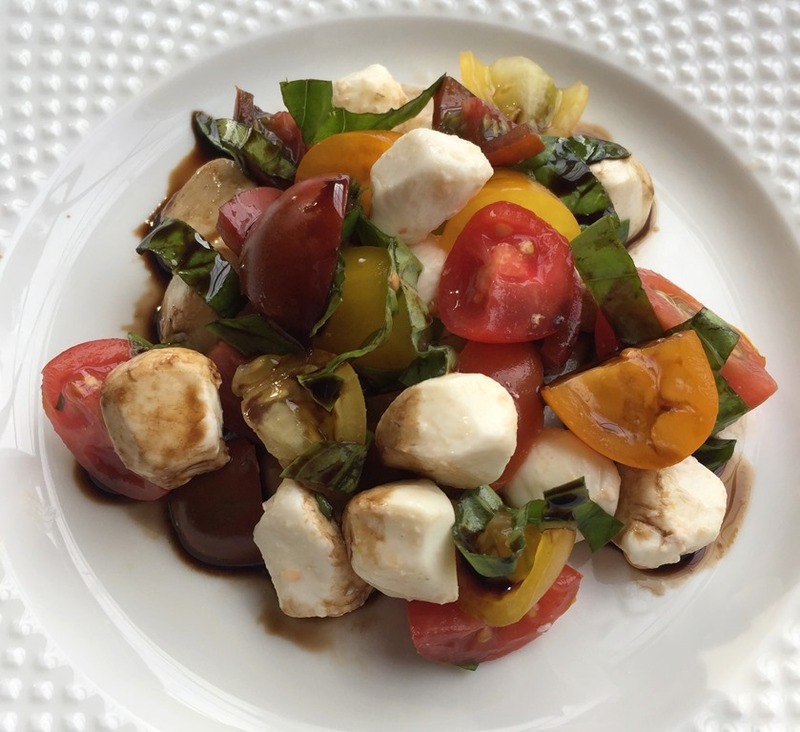 I like to make a “chopped” version of the salad with various cherry tomatoes, fresh basil, and mozzarella pearls. I drizzle this with some extra-virgin olive oil and serve the balsamic reduction on the side so that the tomatoes and cheese don’t soak up too much vinegar before serving. If you are short on time, you can serve this with straight balsamic vinegar, but it is so worth the little time it takes to reduce the vinegar to a stronger syrupy consistency. I usually reduce an entire bottle of vinegar and then store the left-overs in the refrigerator. You can also infuse some delicious flavors into your reduction while you are at it, things like fresh herbs and garlic. Some people add additional honey or sweetener to the reduction, but I find balsamic vinegar to be plenty sweet without additional sweetener. Tomorrow we officially begin our summer break (after a final half-day of school). This salad will be a frequent side dish on our table. Combine tomatoes, mozzarella, basil, and olive oil in a serving dish. Season with salt and pepper. Serve Balsamic Reduction on the side to be drizzled over salad just before eating. Place all ingredients in a medium saucepan. Bring to a boil over medium heat. 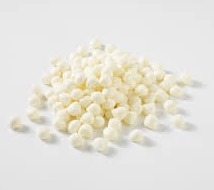 Reduce heat to medium-low and simmer gently until vinegar reduces by about half and thickens to a thin syrup. This will take about 10-15 minutes. Remove garlic, bay leaf, and herbs (strain if necessary). Cool. Store leftovers in the refrigerator.